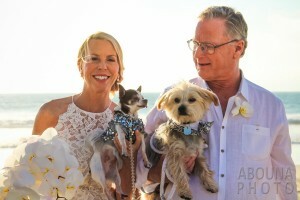 Stephanie and Phil’s Cuvier Park wedding made for another splendid afternoon of wedding photography in La Jolla, California. 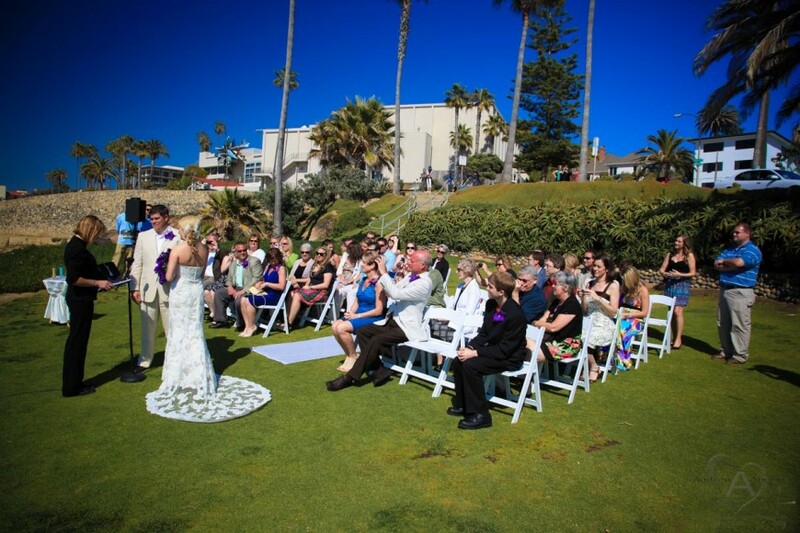 Cuvier Park, also known as ‘The Wedding Bowl’, is a perfect seaside destination wedding location because of spectacular views of beaches, grass lawn with room for plenty of guest seating, and easy accessibility. 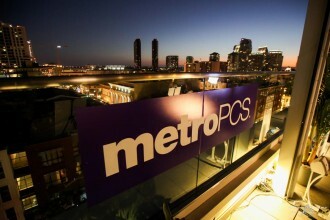 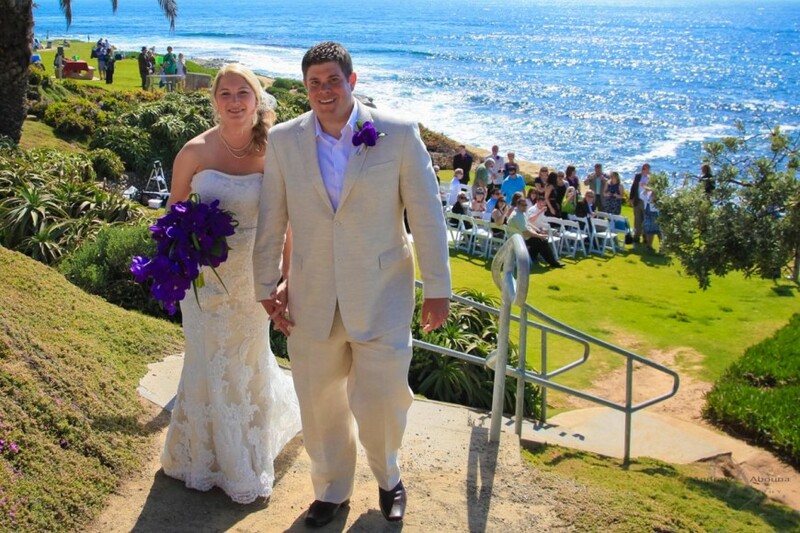 What’s also nice about the location are the choice of stairs or walkway down to the lawn. 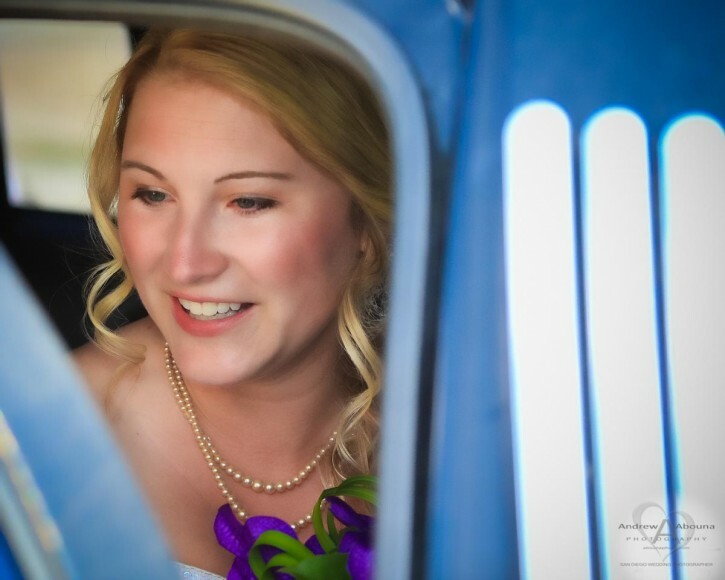 Bride Stephanie arrived in a white limousine, and this gave me a few moments to photograph her before she exited to be escorted by her father down the aisle for the couple’s Cuvier Park wedding. 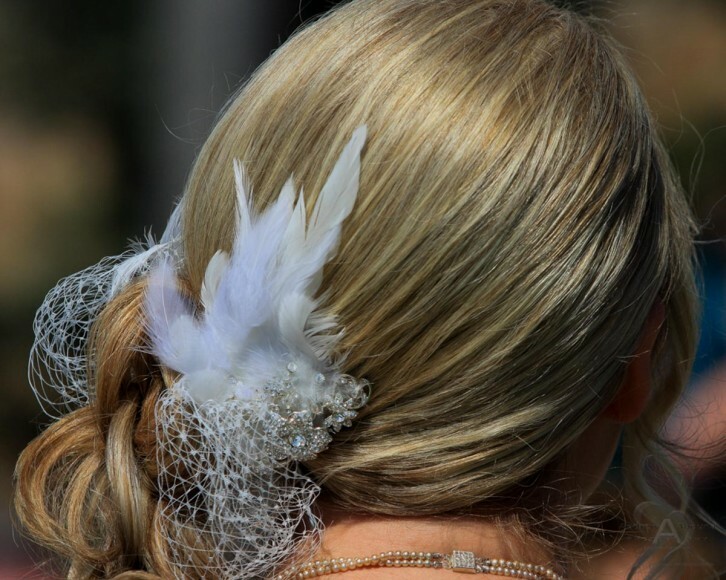 Stephanie’s wedding hair style was very nice and she wore a lovely petite veil with white feather. 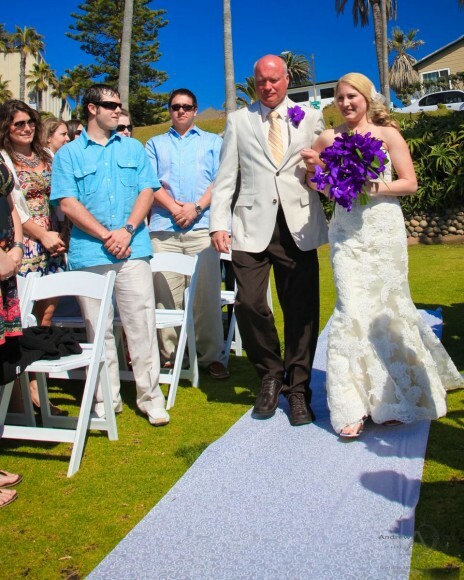 With it now time for the wedding ceremony to begin, her father escorted the bride down the stairs to the lawn to the waiting guests and her groom Phil. 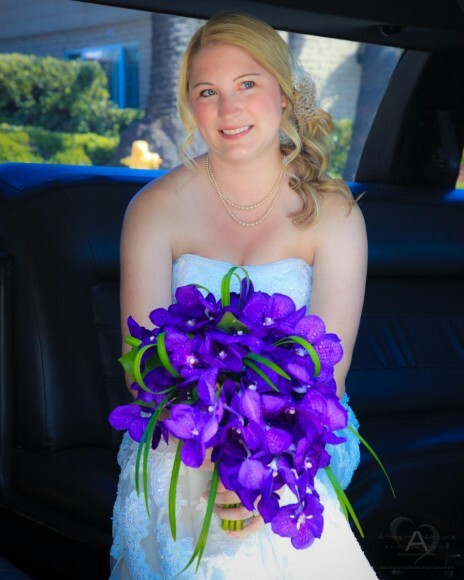 Stephanie’s purple orchid wedding bouquet made for a nice contrast against her wedding dress with semi-sweetheart neckline. 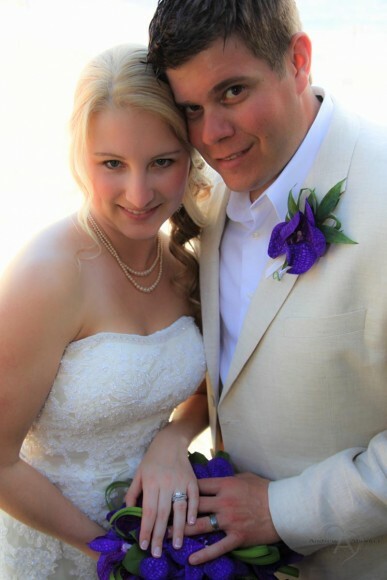 Phil wore a light colored suit with a purple orchid corsage. 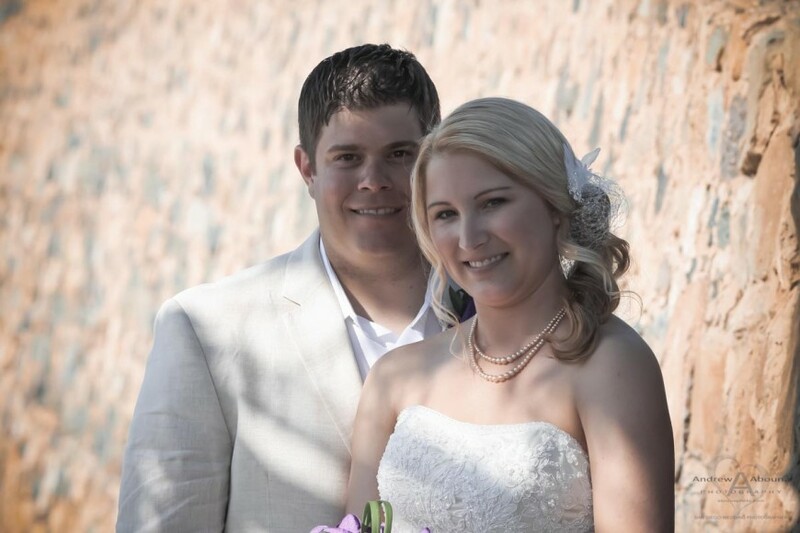 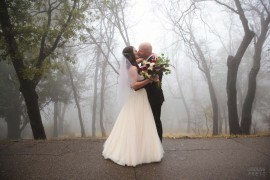 The couple’s ceremony at their Cuvier Park wedding included family and friends. 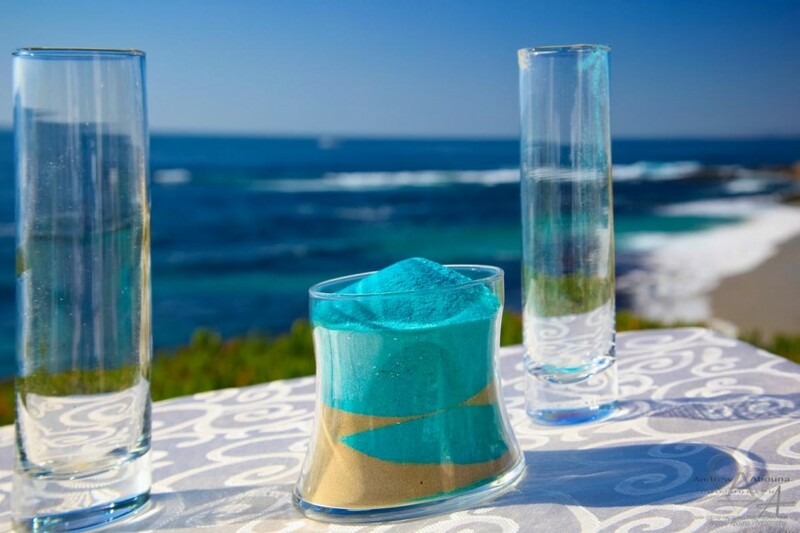 They also incorporated a wedding sand ceremony with tan and turquoise sand. 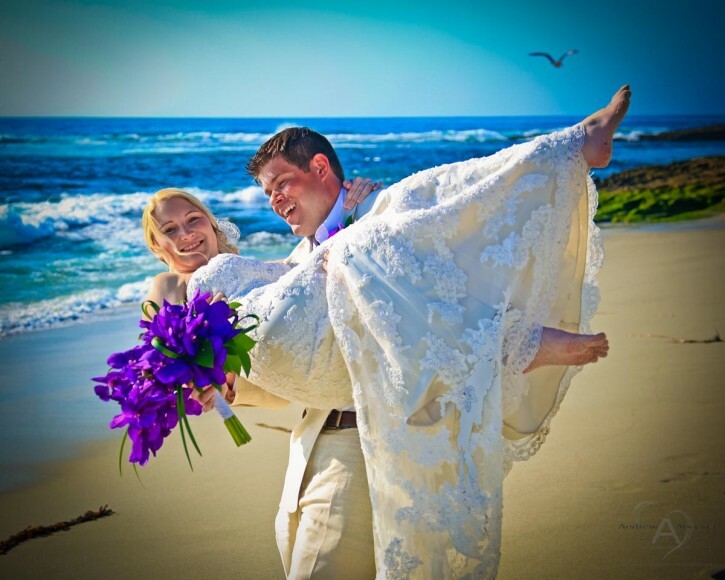 Following the wedding ceremony the couple and I spent some time at a nearby beach, where we created photos of Phil carrying his bride with her purple wedding bouquet, set against the blue ocean and birds flying. 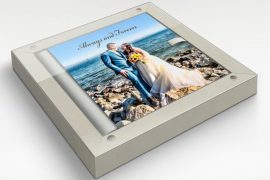 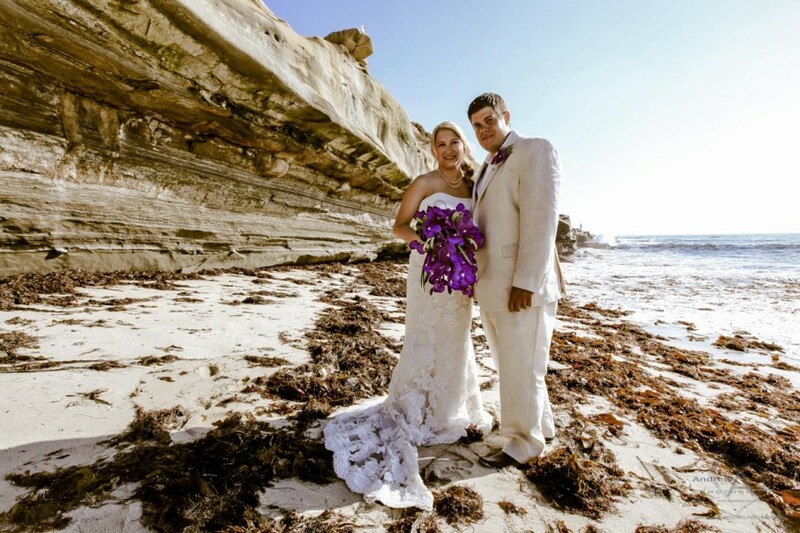 Another nice wonderful photo for their Cuvier Park wedding was of the bride and groom on beach set against a sea cliff. 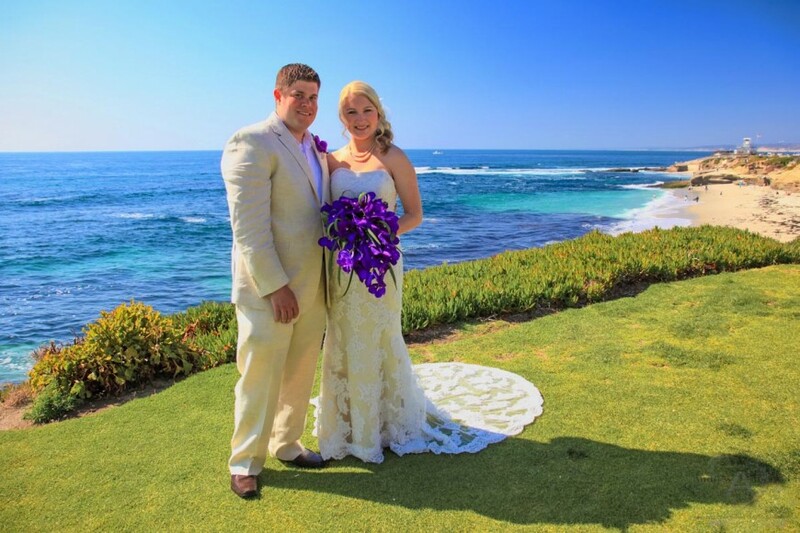 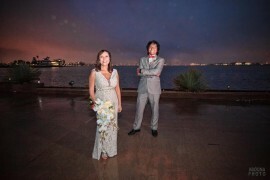 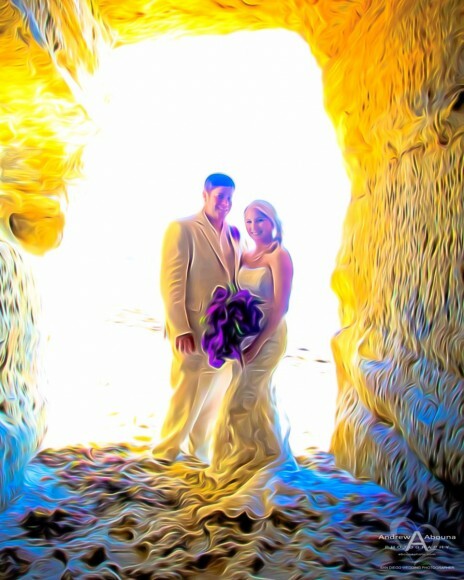 And another favorite wedding photo is of the bride and groom in a backlit sea cave with the purple bouquet. 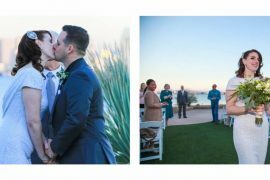 To see more of Stephanie and Phil’s Cuvier Park Wedding photos visit my San Diego Wedding Photographer Client Galleries (password required). 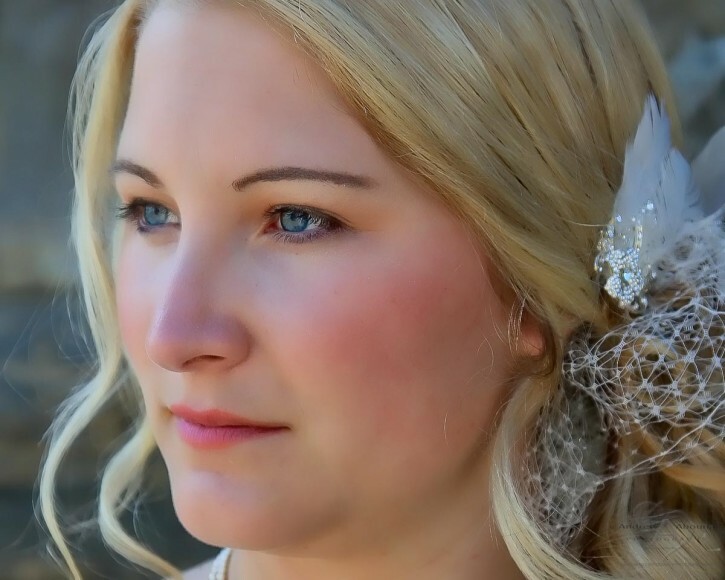 And for more information about having me create your own collection of wedding photos, or to receive my Wedding Photography Guide with more information and packages prices, please contact me.